Employees learn how to make on-the-spot decisions with confidence. Managers, employees and the organization benefit in so many ways when empowerment is part of your business culture. you an asset to your organization. advancing your career with raises and promotions. 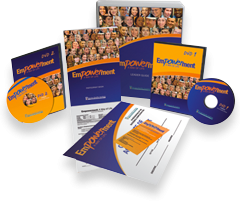 Empowerment: A Way of Life includes professionally recorded videos that illustrate every day experiences. Participant Workbooks, Leader’s Guides and materials are designed to be user-friendly and attractively packaged. 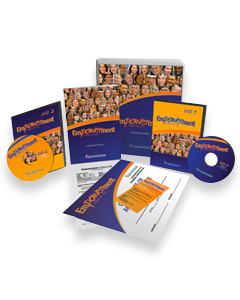 Professionally recorded videos, participant Workbooks, Leader’s Guides and user-friendly materials.